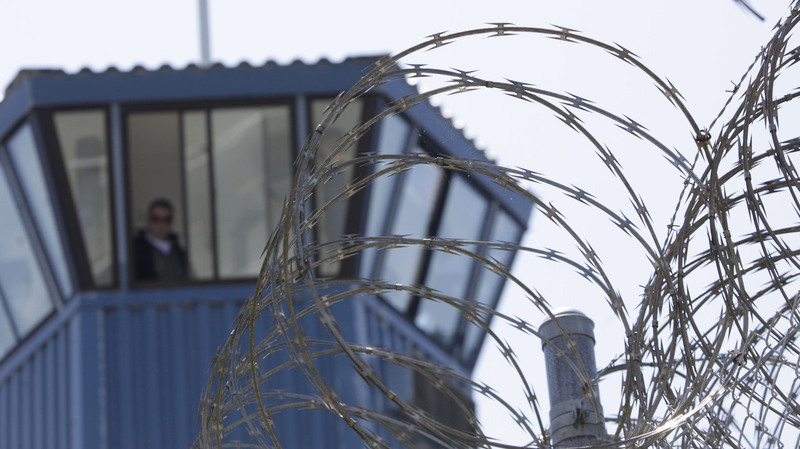 Observers Hope California Agreement Succeeds In Ending Indefinite Solitary A settlement may mean the release of thousands of inmates from solitary confinement. The U.N. special rapporteur on torture says it's "a great achievement," but he'll have to see how it's implemented. The plaintiffs in the case are inmates at Pelican Bay State Prison near Crescent City, Calif. "In the most severe cases," Juan Mendez says, indefinite solitary confinement — like that practiced at Pelican Bay — "can even be considered torture." Solitary confinement is a widely used — and controversial — practice in U.S. prisons. But this week, a landmark legal settlement between inmates and the state of California could mark a big step toward changing that situation. The biggest change here is that California corrections officials have agreed to stop putting prisoners in solitary confinement solely because of their suspected gang ties. The ruling could affect roughly 2,000 inmates now being held in confinement, or the SHU, on these grounds. Some California prisoners had been in isolation for years — in one instance, for 43 years. Under the settlement, with few exceptions, state prisons will stop holding inmates in isolation for indefinite sentences. The union representing California prison guards has suggested the change "will further exacerbate gang activity and prison violence" in state prisons. But Juan Mendez — the United Nations special rapporteur on torture and other cruel, inhuman and degrading treatment or punishment — tells NPR's Arun Rath there are other ways to promote prison safety, and that the settlement represents an important change in thinking. "I think it's part of a general trend towards recognizing that solitary confinement can be a very serious violation of constitutional and even international human rights," Mendez says. Mendez served as an expert witness for the plaintiffs in the case, and he tells NPR's Arun Rath about what he saw at Pelican Bay — and what he anticipates will come of the recent agreement. The fact that California is pledging to release about 90 percent of the 3,000 or 4,000 people who are in solitary confinement — are going to be put into the general [prison] population — that in and of itself is a great achievement. I will still have to see how it's implemented, because the corrections department has reserved for itself the possibility of using solitary confinement for people who breach disciplinary rules. And that, in principle, is not wrong. I mean, sometimes you have to isolate people. But it has to be for a limited term. I was appointed an expert witness for the plaintiffs, and I went to Pelican Bay and I interviewed the main plaintiffs to get a sense of what it's like to live 24 hours a day in a regime of solitary confinement. And then I wrote a report to the court on how those conditions are affected by international standards that the United States is bound by — especially the convention against torture that the United States has signed and ratified. The uniqueness of California is that solitary confinement is used to punish or to isolate people who are deemed to belong to gangs. They spend 22 1/2 to 23 hours a day in a cell by themselves. It's true that they have reading and writing materials, and television and radio, but that's the kind of conditions that can inflict on an inmate — especially when it's prolonged solitary confinement, or indefinite solitary confinement — it inflicts the kind of mental pain and suffering that is associated with the prohibition on cruel, inhuman and degrading treatment in the international law. And in the most severe cases it can even be considered torture. I visited Pelican Bay and a prison near Philadelphia in Pennsylvania — in both cases as an expert witness in litigation. But I have asked the United States government for an invitation in my actual capacity as a special rapporteur on torture. Unfortunately, this has been pending now for 2 1/2 years or so. ... Living in the United States, I had never thought that it would be so difficult to get the United States to invite me in the conditions that the [U.N.] Human Rights Council has set up, that are the same as every other country [that has] invited me. I've been visiting prisons in Morocco, Tunisia, Tajikistan, Kyrgyzstan, Ghana, Gambia, Mexico and Brazil. And it's kind of baffling that the United States takes so long to answer. I cannot say that I've been denied a visit, but my term is coming to an end a little more than a year from now and I'm hoping that I'll be able to visit prisons in my capacity as a special rapporteur — and of course on conditions that I can accept.